EXPERIENCE the glitz and glamour of Hollywood as St David’s Hall is transformed for Music of the Movies in the Glam Gala Concert on Saturday 27 August. Starting at 7pm, The Glam Reunion Orchestra & Choir will perform some of the most memorable music ever recorded for the silver screen under the helm of Nick Davies. This showbiz spectacular is the perfect way to spend quality time with your loved ones for a fun-filled evening for all ages. Make sure to dress up as your favourite film stars, bring your autograph books and smile for the paparazzi! The Glam is a non-profit organisation supporting youth music across South Wales and consists of 50 years of members of the former Glamorgan and Mid Glamorgan Youth Orchestra and Choirs. All of them received free music education, experiences and opportunities. 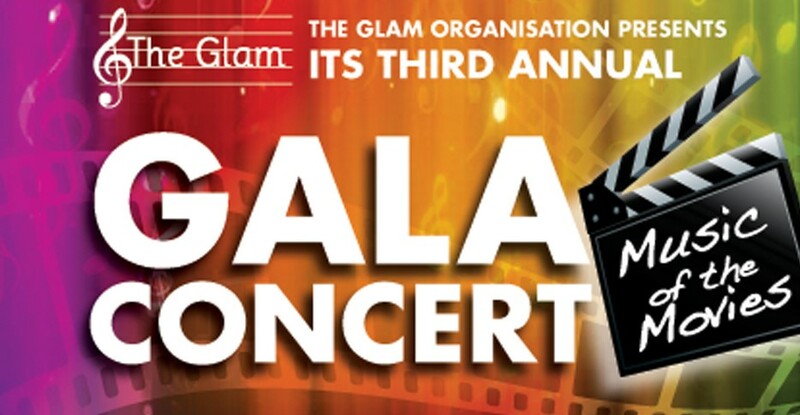 Join us on this rollercoaster ride along the red carpet with the third annual Glam Gala Concert at St David’s Hall. Tickets are £5, £8, £10, £16 & 22. Reductions of £2 off top two prices bands for Friends of St David’s Hall, Glam Friends, students, claimants & over 60s. Tickets for under 16s are £5, and £7 for 16-22 year-olds. Wheelchair users (plus one companion) are £5 for Stalls seats. Reductions of £1 per ticket off for groups of 10+. All prices are subject to an additional £3.95 Ticket Service Charge and an optional 95p postage fee).